Electrical circuits are a mystery to many people and to be fair even household current can kill you, so unless you know what you are doing you might want to leave any electrical work on your house to a professional. However I firmly believe that everyone should know that basics about as many things as possible and with a basic electrical tester you can know if there are faults in household wiring that require someone with expertise to look at it. While I will not go into electrical theory and standards in this post, a simple tester like the one shown below will really tell you a lot. These are available at any hardware or box store like Home Depot or Menard’s and from Amazon and are in the $10-$15 range. By looking at the pattern of lights it will show you five different wiring faults as well as a correctly wired outlet socket. 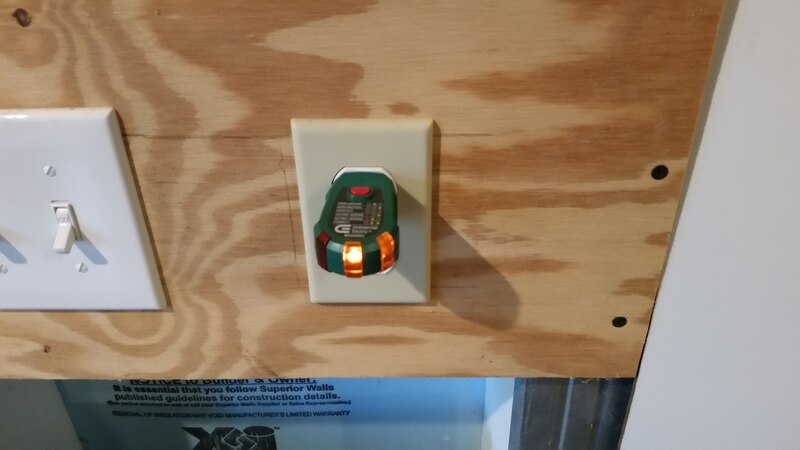 Further pressing the button will create a ground fault that should trip your GFCI protection. All plugs in wet areas (kitchen, bathroom outside…) should be GFCI protected. After the test make sure you reset your GFCI circuit which can be either the button in the center of the plug or could be in your circuit breaker box depending on the type your home has. While this is certainly not an exhaustive test as it will not check voltage levels or tell you the size of a circuit, for basic circuit testing it is too cheep and easy to use for everyone not to have at least one. Further if you are having trouble with an electrical device it is good to make sure the plug is wired correctly. That way you will know if you need take the device in for service or have the house wiring looked at. The biggest thing this does for a novice is tell you if the power is on to a plug and if it is wired correctly or if there is a problem. Also it is safe for anyone to use because you don’t have to take anything apart to do the test, you just plug it in like anything else and look at what lights are on and compare it to the code printed on the unit.